Woody Allen started his career writing jokes for others. Before long, however, he was the one delivering them - and making a name for himself in the world of show business. In this fascinating documentary, we join Woody (and those close to him) on a journey through his childhood, his music, his creative process and his long career as an actor and filmmaker. I wouldn’t particularly describe myself as a Woody Allen fan. However, I did enjoy this two part film. Using videoed interviews and archive footage, this documentary has both the time (I watched it on the two disk DVD) and the access to go deep into Woody’s life and analyse his career. As a result, we get an intimate insight into the man. I found it amazing to see how and where Woody writes. The film takes us into what looks like his bedroom. Woody then describes how he writes everything on the same typewriter that he has had for years. If he wants to cut or paste, he does it with scissors and glue. It is also interesting to hear his mother talk about him as a child and his sister describe their life working together. Each of Allen’s films is keenly observed, as is his reaction to their success or otherwise. His ability, really from the start of his career, to have full control of his creations is fascinating. As the film continued, I started to feel uneasy as I wondered how it would manage the more controversial aspects of Woody’s personal life. However, the documentary really only hints at the scandals that have plagued him before moving on to look at his work. Woody Allen - A Documentary is an interesting watch and gives a fascinating insight into a man who is regarded as one of the best filmmakers of our time. 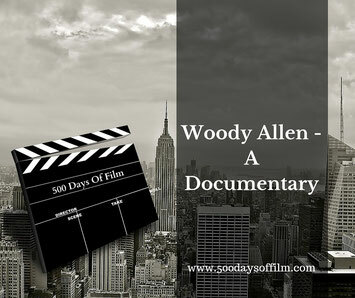 Have you seen Woody Allen - A Documentary? If so, what did you think? I’d love to know - why not leave a comment in the box below?